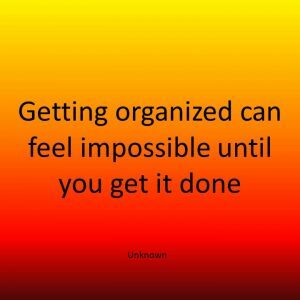 Home organizing – any area of your home. Estate Cleanup – organizing a loved one’s home when they have passed away. 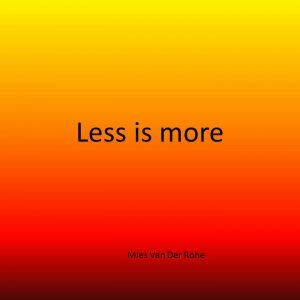 Home downsizing – making decisions about what you need in your new life. Organizing coaching – if you feel you can do the organizing yourself, and just need some coaching on the best way to achieve your goals. Presentations and workshops – fun, interactive presentations and workshops where you can learn tips and suggestions for your organizing projects. Get your space organized quickly and efficiently. Organize your basement so it will become a more usable space. Organize your garage so you can park your car in it. Get your paperwork mountain in a manageable state. Pack or unpack when you move house. Change habits that are currently not working for you. Offer solutions on how to maintain organization once achieved. Make your space more efficient. Organize your home in preparation for re-sale. Clear the estate of a loved one. 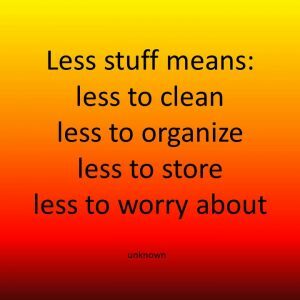 Downsize from what you have to what you need. Organize papers that are overwhelming your flat spaces. Create systems for filing paperwork. Organize files on your computer. Arrange craft rooms to maximize efficiency. Create space for your children to play. Create a kitchen space that you love to be in..
Providing methods that will help keep your life organized. Develop your own organizational skills. 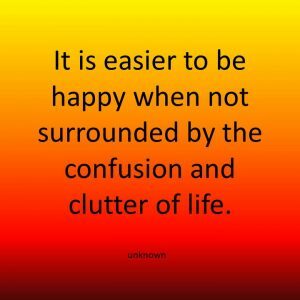 Assist you with difficult decisions about what to keep and what to get rid of. An investment in your future – reaching out to a specialist. When you need someone to cut and style your hair, you contact a hairdresser, when you need you car fixed you call a mechanic, when you need your teeth fixed you go to a dentist, you may call a Chiropractor when you have put your back out or a roofer when your roof blows off. 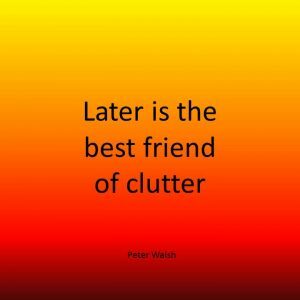 Investing in the services of a Professional Organizer can be considered in the same light. An Organizer is a Specialist, someone who will solve your problem for you. 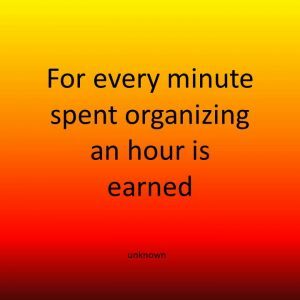 Consider for a moment how long you have been talking about getting your organizing project done. How has that gone for you? It can be very difficult to get started when you are trying to do this on your own. I am very respectful that you will be working on a budget and therefore offer very competitive rates and packages to help your budget go further. Before working with a Client I will do an initial in-home consultation. I respectfully ask for the project to be left exactly as it is so I can see it in its entirety. Cost $50. This will include a 60 – 90 minutes initial in-home consultation with you . If you hire me 50% of the cost of the initial home consultation will be refunded to you on your first invoice for services. For locations that are more than 25 miles away a mileage charge will be charged based on the current IRS rate. If 12+ hours are prepaid, a 10% discount will be offered. The prices shown above include a travel distance of 25 miles from my office to project location. Any mileage over 25 will be charged at the current IRS rate. Please note the Organizer will not be on site for these sessions and the sessions will be completed remotely. Payment can be made by check, cash , credit card or via PayPal. Payments made via PayPal or credit card will include an additional 3% charge. The terms for payment are that full payment must be made at the commencement of the project. There will be a $35 charge for any returned checks. Any further transactions for services will be required to be in cash. A $50 cancellation charge may be implemented if an appointment is cancelled without 24 hours notice or you are not onsite when I arrive.